The number of energy finance programs has increased dramatically in recent years. As the variety of programs expanded, so too has the diversity of financial institutions participating in local programs. Each of these different types of financiers has specific strengths, weaknesses, and areas of focus. Only by understanding these unique attributes can the best partner for each individual program be identified. In Energy Efficiency Finance 101: Understanding the Marketplace, an ACEEE white paper, we highlight the types of financing partners in the marketplace and offer a guide to their individual interests, risk tolerances, and place in the financial services industry. This is one of a series of papers from ACEEE that offers tools to make it easier for states, municipalities, utilities, and private lenders to learn from past experience and develop more effective energy efficiency programs. Understandably, when beginning a financing program, a program manager’s first thought often is that a commercial bank would be the most logical financing partner. Since banks are the largest lenders, this reaction makes sense. In some cases, banks can play an important role in these local initiatives. But banks represent just one of the many different types of institutions involved, and often are not the best fits for a program, especially early on. While banks may be eager to participate, as regulated financial institutions they must maintain strict credit standards and avoid high risk lending. This aversion to riskier loans can make them poor fits for programs targeting a broad spectrum of participants. 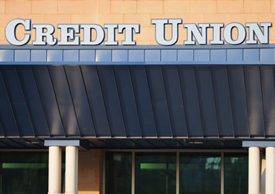 Interestingly, credit unions, which are also regulated, have been far more active partners in energy initiatives than banks, especially for programs targeting homeowners. To reach riskier segments, banks typically turn to other types of financial institutions for help, particularly nonprofit loan funds. Banks may agree to provide loans to these other institutions, but not to the customers directly. Community Development Financial Institutions(CDFIs) are one important financing partner, especially for programs targeting low- and moderate-income households and communities. As mission-driven institutions, CDFIs have a predilection for programs having a social and environmental focus and CDFIs have a long history of successfully bringing together different sources of funding. It is not surprising, then, that CDFIs have been particularly active players within energy finance programs. In addition to these dedicated lenders, new players are emerging in the field. Utilities, for instance, are increasingly taking a lead role in local energy financing programs. Indeed, on-bill finance, whereby a loan is repaid through the utility bill, is one the fastest growing segments within the energy finance arena. Likewise, state and local governments have created numerous financing programs and initiatives in recent years. In most cases, these programs are far more risk tolerant than commercial banks and even credit unions. However, since the loan capital for these programs is often limited to available grants or dedicated funding, these programs may be quite small or have limited growth potential. Thus, it’s best to plan upfront how the financing partner may need to change over time as programs ramp up and expand. In many cases, banks may be more interested in partnering later once loan programs mature and reach a larger scale. With the growth and maturity in the energy finance industry comes a need to catalogue the different types of financing partners and better understand which type make the best partners for a particular initiative. Thankfully, lessons are beginning to emerge.